As serious and sophisticated investors know, options are a viable and increasingly popular way to enhance their portfolios. Yet even the most savvy investors need instruction. 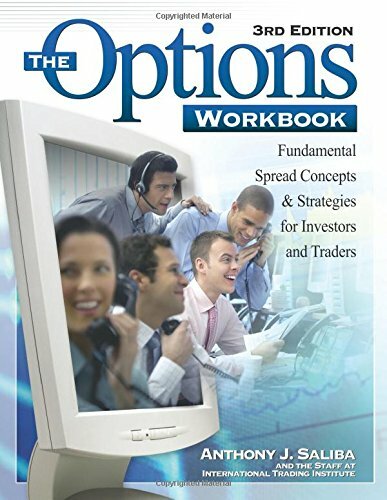 Now in its third edition, The Options Workbook has been updated and reformatted in a larger, more convenient, and user-friendly design. Three all-new chapters explain key trading concepts-volatility, the collar, and the covered call-and show how these can be applied to mitigate risk and increase profits. What’s more, this fresh edition incorporates additional interactive content-exercises, hands-on tools, and lessons that complement the in-depth curriculum on ITI’s Web site, www.itichicago.com. If you have any questions about this product by Brand: Kaplan Publishing, contact us by completing and submitting the form below. If you are looking for a specif part number, please include it with your message.